The metaphor is one of the most powerful tools in the artist’s toolbox. 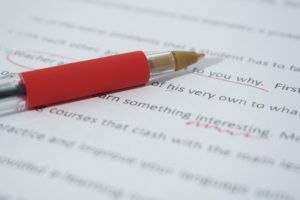 This is the case regardless of whether you are writing fiction, non-fiction, poetry, or a blog (Notice I couldn’t even get through the first sentence of this post without using one!). Writers love metaphors (and their like-minded cousin, the simile) because they add texture and beauty to an otherwise dry description. (Note that for ease of explication, I will use the term “metaphor” for the rest of this post to refer to both metaphors and similes). Now, most writers know that metaphors are important. But what is less known is (1) why metaphors are so powerful and (2) what makes a good (or bad) metaphor. Lucky for us, psychological research on metaphors has exploded within the last decade to help us address these points. So let’s start with the first question: Why are metaphors so powerful? The answer is that metaphors are not just a literary technique; they are a very potent psychological technique. But look closer and you’ll see that each of these takes an abstract, hard to understand idea (the world, love, life) and compares it to a simple, concrete, well-understood idea (the stage, a battlefield, a box of candy). Now not all metaphors do this (e.g., “The basement was a dark cave” simply combines two concrete concepts). But the best ones connect something that is less understood with something that is more understood. As a result, good metaphors help the reader understand something they otherwise might have not. In On Writing, master storyteller Stephen King notes this ability of metaphors to improve comprehension when he says that they enable people to “see an old thing in a new and vivid way.” For this reason, he says that metaphors are like a kind of miracle that occurs between writer and reader. I tend to agree. Metaphors are also important because they help writers abide by the all-important “show, don’t tell” rule. For example, in the book Misery, Stephen King’s main character Paul has been rescued after a car accident by a crazy woman named Annie. At one point, she leaves Paul for two days without water, food, or most importantly, pain pills for his broken legs. In this scene, Paul is simultaneously wrestling with crippling pain, thirst and hunger. To communicated this, King uses the metaphor of a horse race, with the horse Pain, Thirst, and Hunger all jockeying for first place. So rather than tell us outright what Paul is going through, King uses a metaphor to show us. But metaphors go beyond just comprehension and demonstration, they actually change the way we think of a concept on an unconscious level. To demonstrate this, consider a study conducted by Thibodeau and Boroditsky in 2011. In it, half of the participants read about a crime-ridden city where the criminal element was described as a beast preying upon innocent citizens (animal metaphor). A separate group read essentially the same description of the city, only it described the criminal element as a disease that plagued the town (disease metaphor). Later, when asked how to solve the crime issue, those who read the animal metaphor suggested control strategies (increasing police presence, imposing stricter penalties). Those who read the disease metaphor instead suggested diagnostic/treatment strategies (seeking out the primary cause of the crime wave, bolstering the economy). This study shows that by changing the metaphor actually changed the way readers thought about the crime issue. If it was a beast, it needed to be controlled. If it was a disease, it needed to be treated. Thus, writers can use metaphors to strategically control their readers’ perceptions. Okay, so you know metaphors are important and hopefully you now have a better understanding of why that is the case. But not all metaphors are equally powerful. We can all think of good metaphors that seemed to soar when we read them. Others hit the ground with a thud. When it comes to designing metaphors, there is an infinite amount of things you can compare your concept to. So how do you make sure your metaphor is a good one? In my opinion, the best way to craft a metaphor is to start with your target concept (e.g., sleep) and identify the quality you want to highlight (e.g., sleep can be heavy, peaceful or restless, you can slide into it or collapse). Once you’ve landed on your quality (e.g., slide into), then generate other things that also share this quality (e.g., a baseball player sliding into home plate, a pat of butter sliding down a hot griddle, a sled sliding down an icy hill, a weary body sliding into a warm bath). 1. Simple. If it takes a long time to explain the connection between two concepts, then you probably need to pick another comparison. Metaphors are designed to make things clearer, not muddy things up even more than before. Along those same lines, don’t mix metaphors. Once you start a metaphor, stick with it. Don’t change it up half-way in (e.g., he was skating on thin ice and finally decided to bite the bullet). 2. Thematic. Metaphors work better when the comparisons selected are consistent with the voice, location, time or theme of your story. For example, a chef falling in love might reflect on his “desire to devour her every word” or reflect that “she added seasoning to his otherwise bland life.” Instead, a tailor might describe the same experience as “fitting like a hand inside a glove” or that “she mended the torn seams of his heart.” And a horticulturist might see their “blossoming relationship” as “a plant that needs to be watered and nurtured.” The point is, you should select metaphors that reinforce other elements of your story. 3. Original. No one wants to read a metaphor they’ve come across a hundred times before, so avoid overused or clichéd comparisons. Stephen King provides these examples: ran like a madman, pretty as a summer day, fought like a tiger. Here are more: When it rains it pours, dressed to kill, at the speed of light, cute as a kitten, and so on. And I’m sure you can think of many other examples. 4. Relevant. When using a metaphor, the writer is agreeing to an implicit promise to the reader that the two concepts are in some way connected. The connection doesn’t have to be immediately obvious—the best ones aren’t. But it should feel like a lightbulb going off in readers’ minds. Suddenly they see the connection where they didn’t before. For instance, Stephen King provides this example of a poorly written metaphor: “He sat stolidly beside the corpse, waiting for the medical examiner as patiently as a man waiting for a turkey sandwich.” The reason this metaphor flops is because there is no seeable connection between waiting for an examiner and waiting for a sandwich. 5. Important. Strunk and White say that “similes coming in rapid fire, one right on top of another, are more distracting than illuminating. Readers need time to catch their breath.” Not everything in your writing needs a comparison. So be strategic about your use of metaphor. Only use it when you want to emphasize a concept or ignite a feeling that is important and central to your story. After all, as Freud reportedly said, sometimes a cigar is just a cigar. I was just saying that I would love to be able to use metaphors in my writings. This is very enlightening. Thank you. I’m so glad to hear you found the metaphor post helpful! Thank you for the positive feedback!